When you are looking to create a gift certificate that is truly beautiful you will love the help that this template has to offer. This template has a look that is truly special and elegant, with a pink color that is eye-catching. This template includes space for the name of the recipient and the name of the giver, as well as a description of just what the gift is. Those who are looking to give a gift that is truly special and different will appreciate all that this gift certificate template offers to them. This template includes space for a special note that can be added by the giver. The certificate template also has room for a couple of signatures to make everything completely official and ready for use. 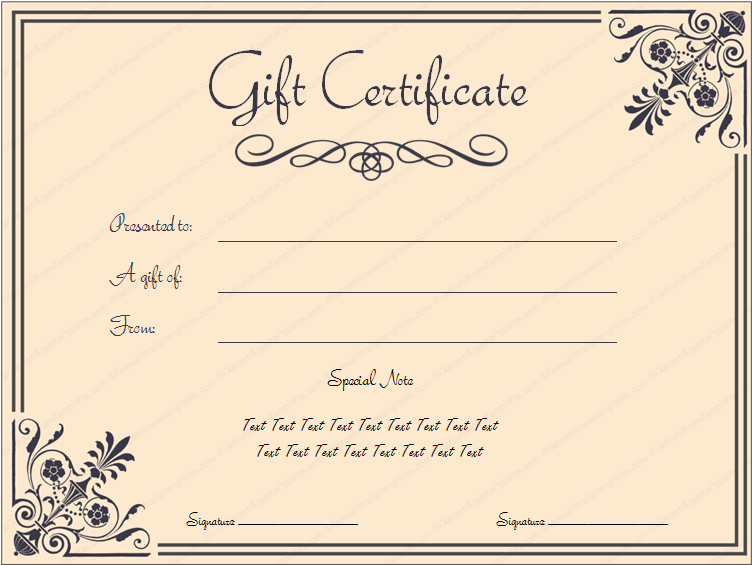 This gift certificate template will help to make gift giving easy, and it opens up doors for unique gifts to be given.